When I was 20 years old, I was recruited to help lead a national organizing campaign to expand the sale of fair trade coffee on college campuses. As part of the campaign, I traveled to Chicago with about two dozen other college student organizers where we were trained by Oxfam America in the basics of community organizing, political strategy, and campaign development. I used those skills to lead and win a major victory at the University of Denver that shifted their purchasing practices to only stock fair trade coffee on campus. Center for Health Progress aims to deliberately build out strategies in each of these domains, weaving them together to form campaigns that, when won, will get us closer to our long-term goals. One such campaign has the goal of ensuring the health care system takes action to address the social determinants of health and systemic oppression, especially institutional racism, because these are the driving factors behind health inequities and lack of access to health care. This campaign is rooted in our grassroots organizing work (the outside game) in Pueblo and Fort Morgan, where we’re building leadership and taking direction from those who personally experience health inequities. And, we’ve built out successful strategies that target the head space (including our infographic, Health: A White Privilege?) and the heart space (including our graphic novel, Waiting for Health Equity). Today, I’m excited to announce the “inside game” component of this campaign: EquityLab. A new cornerstone program of Center for Health Progress, EquityLab builds health care leaders’ capacity to champion health equity within their organizations and communities. Over two years, participants will work alongside their peers to develop and implement projects that contribute to meaningful institutional change. Supported by experts in clinical transformation and organizational equity, health care leaders will learn about health equity, then identify and change internal policies, care delivery practices, organizational culture, and other obstacles that perpetuate unjust health disparities. The curriculum and structure for this opportunity are based on the Institute for Healthcare Improvement’s (IHI) evidence-based Pursuing Equity initiative. A couple of weeks ago, another leading political strategist, DeRay Mckesson, shared his thoughts on health equity with us at our annual HEALTHTalks event. DeRay said that “If you think about a world of health equity, we don't know what it looks like yet. 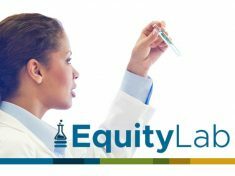 Some of the hardest parts of our work are telling stories of things that have never happened.” If you’re a leader within a health care system and you want to dream of and create a world of health equity with us, I encourage you to apply to be a part of EquityLab. Together, in partnership with our grassroots leaders, we can create a health care system in Colorado that fosters healthy communities that prosper and thrive.